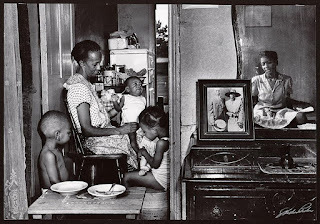 Gordon Parks (1912-2006) was an accomplished photographer, filmmaker, memoirist and breaker of color barriers. 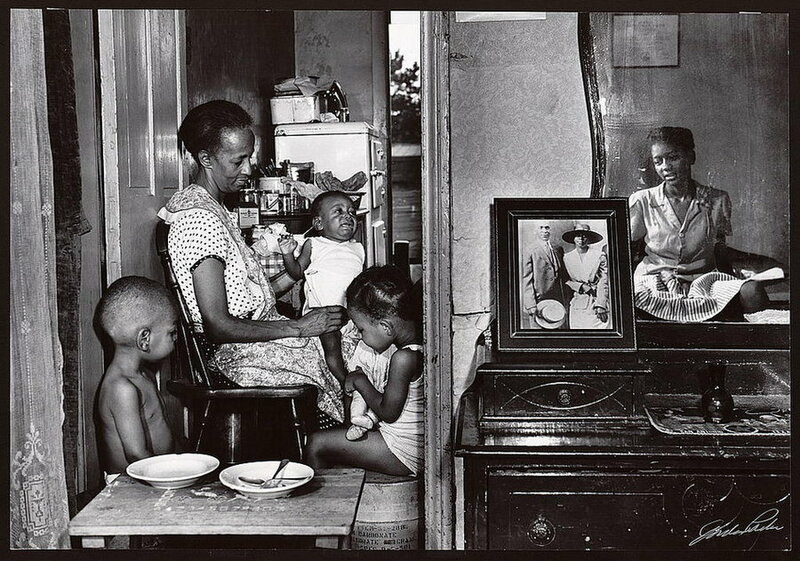 Before he was famous, however; before he was Gordon Parks, he had a one-year fellowship as a photographer at the Farm Security Administration. There, under the tutelage of Roy Stryker, he honed his skills. Taking Stryker’s advice, one of his first opportunities to put his determination into practice came when he talked to a woman who made her living cleaning offices in a government building. Her name was Ella Watson, and her hard work paid her a grand salary of $1080 per year. 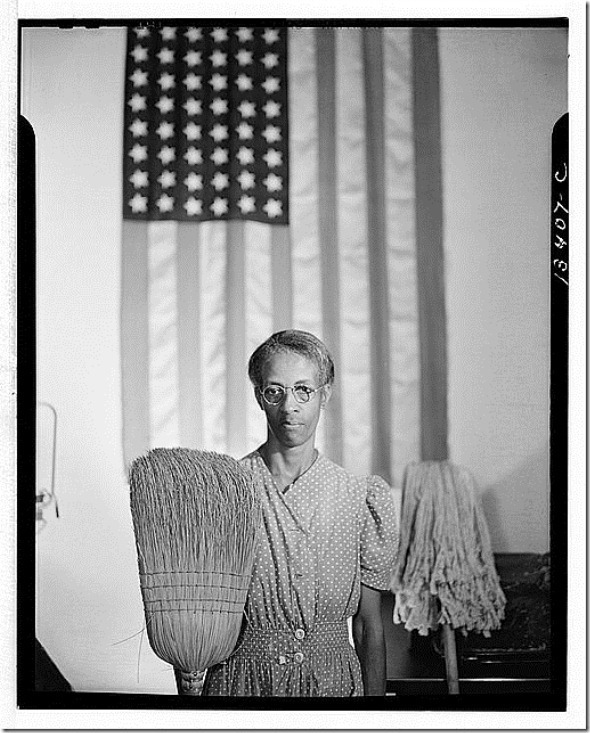 Parks was struck by the fact that one of the offices she cleaned was that of a white woman who had started work at the same time and with very similar qualifications. 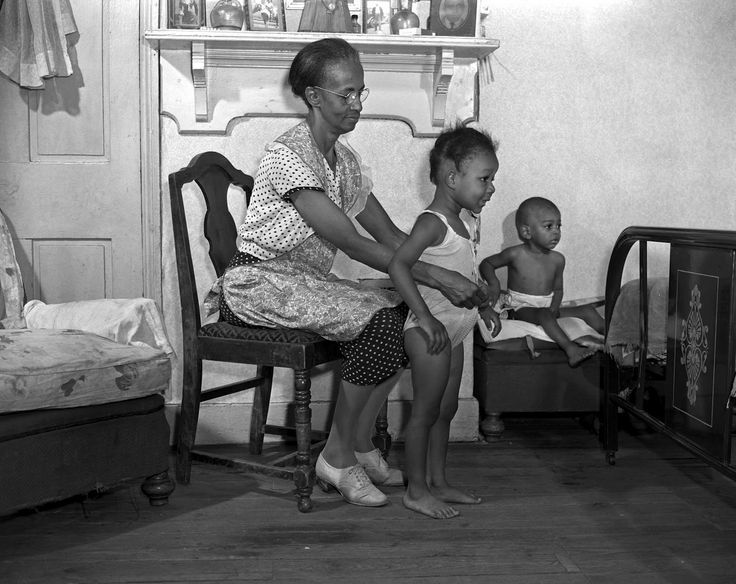 She recounted even how she was raising three grandchildren and an adopted daughter with her meagre salary. 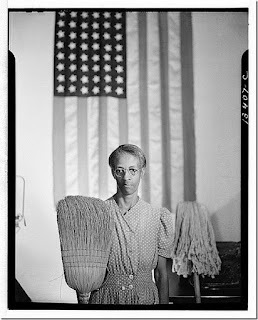 Gordon Parks considered his portrait of Ella Watson as the very first of his professional career. 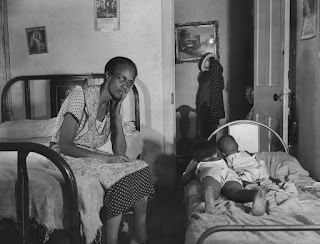 He recalls that when his boss at the FSA first saw it, he “told me I’d gotten the right idea but was going to get all the FSA photographers fired, that my image of Ella was ‘an indictment of America.’ I thought the image had been killed but one day there it was, on the front page of The Washington Post” becoming one of the iconic images of all time. There was plenty going on in 1970s America, and Marvin Gaye’s soulful “What’s Going On” tapped right into it. 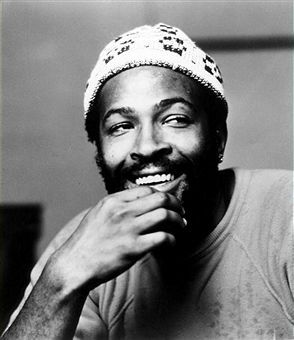 Affected by letters that his brother Frankie used to send him from Vietnam, Gaye wrote the lines, “Brother, brother, brother/ There’s far too many of you dying.” The title track of his 1971 concept album offered its own prescription, proclaiming, “War is not the answer, for only love can conquer hate.” Motown label didn’t want to release initially Gaye’s album, which addressed a variety of issues and societal troubles such as Vietnam war, drugs, the decline of social situation in America, economy and the environment, all over a free-flowing musical backdrop that drew on jazz, pop and classical forms. The singer responded that he would not record anything else for the Motown label unless it let it go and he referred to the album as a “gift from God,” and the album’s spiritual dimension found overt expression in his liner notes: “We’ve got to find the Lord. Allow him to influence us. I mean, what other weapons have we to fight the forces of hatred and evil?” With his inimitable voice, he provided nuanced perspective that immediately resonated with audiences – and has so for generations. In the Spring of 1971, Marvin Gaye's What's Going On disc was a hit becoming among Motown's fastest-selling single releases, hitting Number Two on the Billboard Hot 100. Sadly, on April 1st 1984 the man who sang, “Father, father, we don’t need to escalate,” was fatally shot and killed by his own father due to a conflict with his father dating back to childhood. The wounds were fatal and he was pronounced dead on arrival at the California Hospital Medical Center. Gaye's death inspired several musical tributes over the years including recollections of the incidents leading to his death.